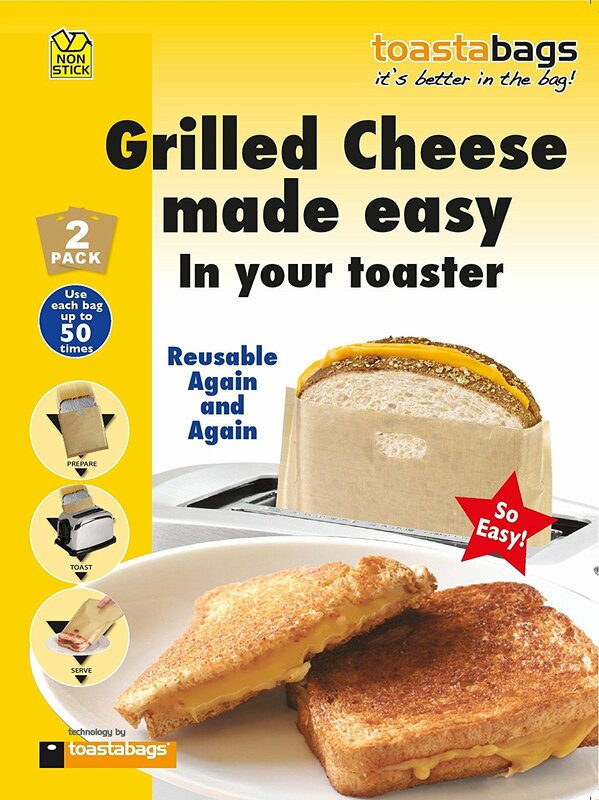 ToastaBag claims to make grilled cheese sandwiches quick and easy without the mess. Also, the packaging says the bags are reusable for up to 50 uses. I wanted to see how well they worked so I took a couple of ToastaBags with me to work and tested it out with some coworkers. Bread, butter, cheese singles and of course the ToastaBag and a toaster (or toaster oven). The ToastaBags didn’t come with any instructions so we just used common sense. Set toaster to it’s highest setting. 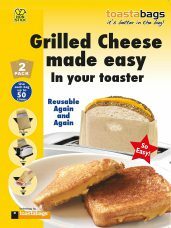 The ToastaBag grilled cheese sandwich tasted as good as a pan fried one to me and my friends! The buttered bread had been toasted just right and the cheese was perfectly melted into gooey, golden goodness. We loved the ToastaBags and had a lot of fun making grilled cheese sandwiches with them! No pans or spatula to clean. ToastaBag are supposed to be dishwasher safe but we just wiped them clean and reused them the next day. I think we are grilled cheesed sandwiched out now. Visit the SpiderWayne store now to get your ToastaBags NOW!